Rina is using Smore newsletters to spread the word online. Dialogue is a conversation between actors. Writing dialogue for your play is kind of like texting with a friend. Do you know the story of the Three Little Pigs? 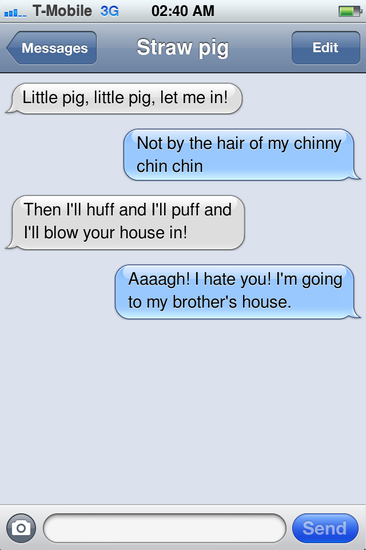 Here is the dialogue when the wolf asks the pig to let him in. A narrator is an actor who speaks directly to the audience to tell a story or give information. Let's look at the narration and dialogue in a scene from 'The Ocean Disaster'. 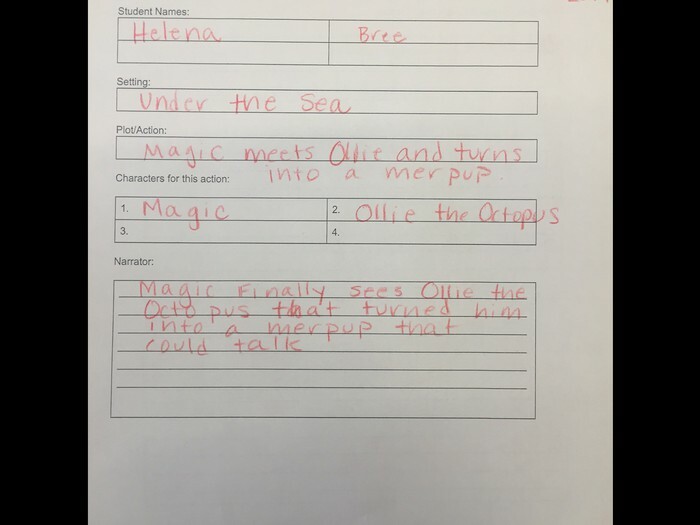 In this scene, Ollie and Magic meet under the sea. 'The Ocean Disaster'. Shadow puppet play, High Tech Elementary North County. 5th grade. 11/20/14. Let's practice writing down the narration and dialogue. 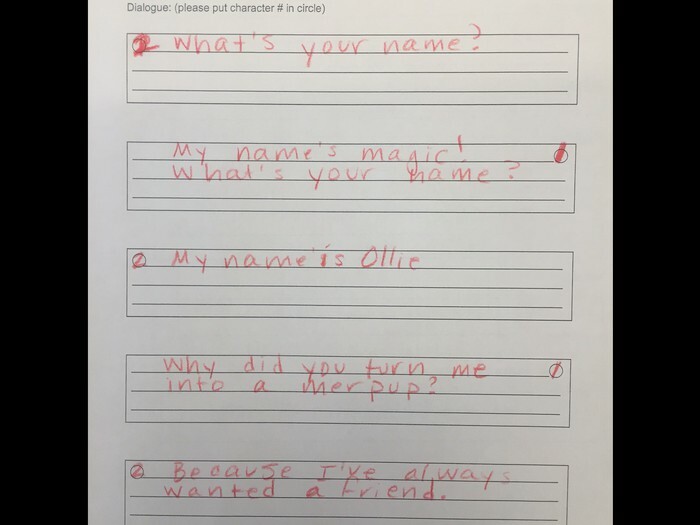 Here is my example of a completed dialogue planner. You may need to create more planners for the middle of your play. Place envelopes in file box.